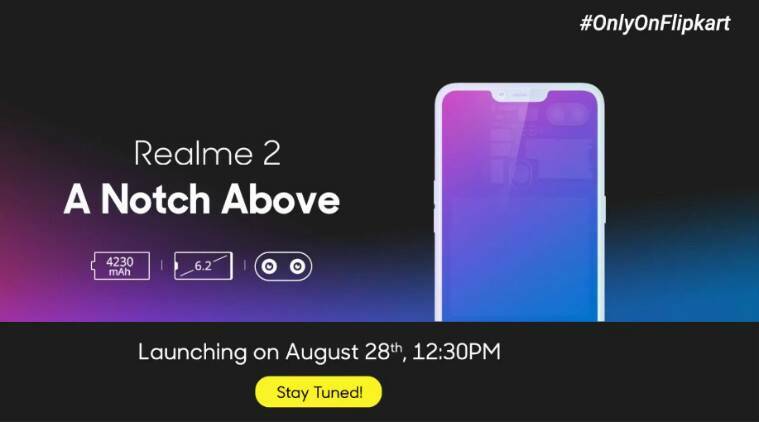 Realme 2 launch in India highlights: The successor to the Realme 1 will feature a notched display, and come with dual rear cameras. 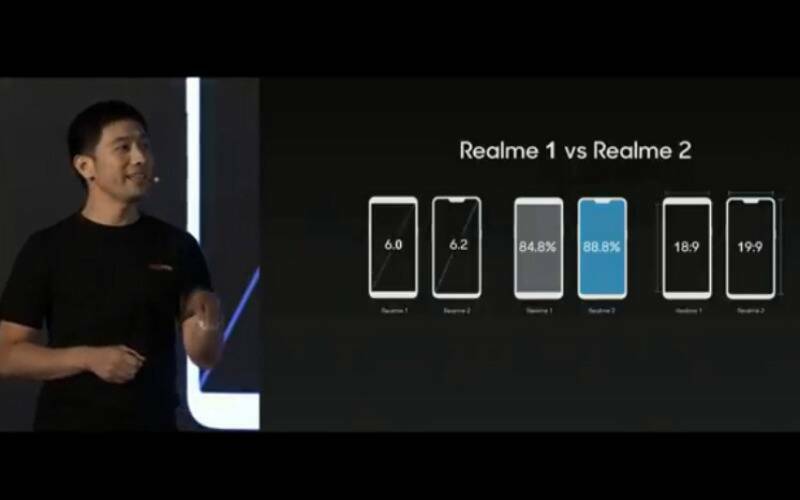 Realme 2 launch in India highlights: Realme 2 has been launched today at an event that took place in New Delhi. The phone succeeds the Oppo Realme 1, and has been marked as a Flipkart exclusive handset. Some of the specifications have been posted online as teasers by the company, including the 6.2-inch display with a notch, dual rear camera configuration and 4230mAh battery backup. Also, Realme 2 did showcase a diamond-cut glass back design, similar to its predecessor. 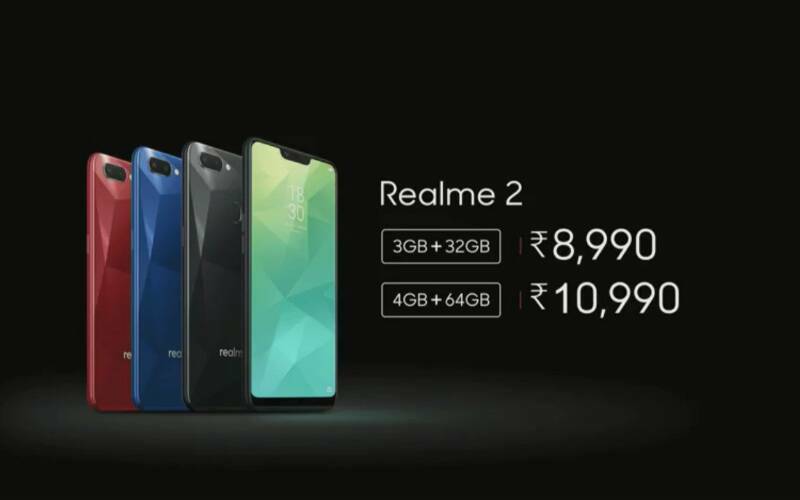 Among other things, Realme 2 is a budget segment phone, which is proved by the Rs 8,990 price tag of its base variant. The launch event was covered through a livestream, that was broadcast on Flipkart, Facebook and YouTube. Key highlights from the Realme 2 event are also available from the Realme Mobiles Twitter page. We have also covered the Realme 2 launch, to give you real-time announcements as they happened. You can track the highlights of all the updates here. Realme 2 is not only the company's first smartphone with a notch, but the company claims it is the first budget phone to sport this feature. While this does contribute to a screen-to-body ratio of 88.8 per cent, it needs to be seen if the performance can match up to the specs. Also, it is based on ColorOS 5.1, so Realme's ties with Oppo have not completely ended. With the dual-camera configurations that have become standard in the more recent budget phones. The notch is probably an indication that Realme intends to be prepared for Android 9.0 Pie. As a quick recap from the event, Realme 2 comes with a 6.2-inch HD+ display with an aspect ratio of 19:9. Based on ColorOS.1 over and above Android 8.1 Oreo, the phone is backed by a 4230mAh battery, and runs the Snapdragon 450 processor. Realme 2 features a diamond-cut back glass design, which retains the phone's all-glass body. Also, this phone comes with three unlock modes: Smart Lock, Face Unlock and a fingerprint sensor on the back. Realme 2 will be available in 3GB and 4GB RAM options, as well as 32GB and 64GB internal storage options. While the dual-rear cameras come in a 13MP+2MP configuration, Realme 2's front camera has an 8MP size. 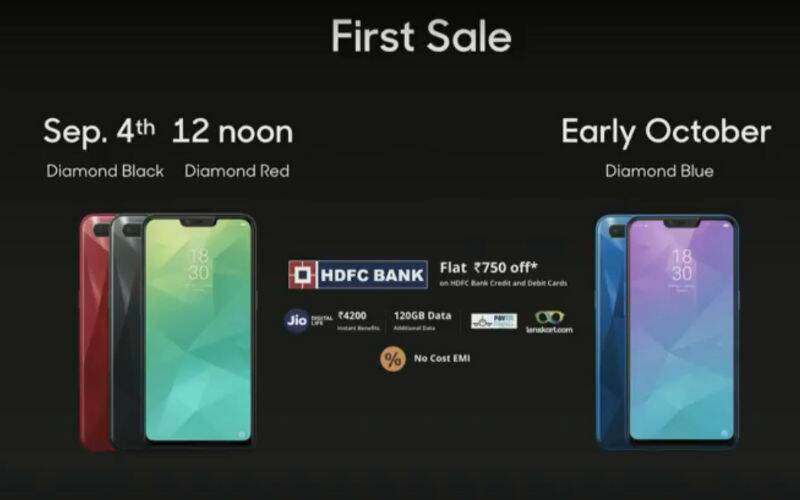 Realme 2 will be a Flipkart exclusive, and will stay an online-only brand. The phone will be available at Rs 8,990 for the 3GB RAM and 32GB storage variant, and at Rs 10,990 for the 4GB RAM and 64GB RAM storage option. The sale will be available from September 4, as the phone will then be available in its Diamong Black and Diamond red colour options. The Diamond Blue colour option of the phone will go on sale in early October. Also, Realme has teased the upgrade to this phone, the Realme 2 Pro, which will be unveiled in India later this month. Realme 2 will feature a dual-rear camera configuration, as teased by the company. Realme2 gets a 13MP primary rear sensor, as well as a 2MP secondary lens. This will enable AI Beutification, as it also comes with the face recognition technology, that is able to recognise 296 facial cues. Meanwhile, the phone will come with an 8MP front lens, that also features AI Beauty and Bokeh mode. Realme 2 will come with Corning Gorilla Glass 3 protection over the display. Also, Lee says the phone will ship in two storage options: 3GB RAM/32 GB memory and 4GB RAM/64GB memory. 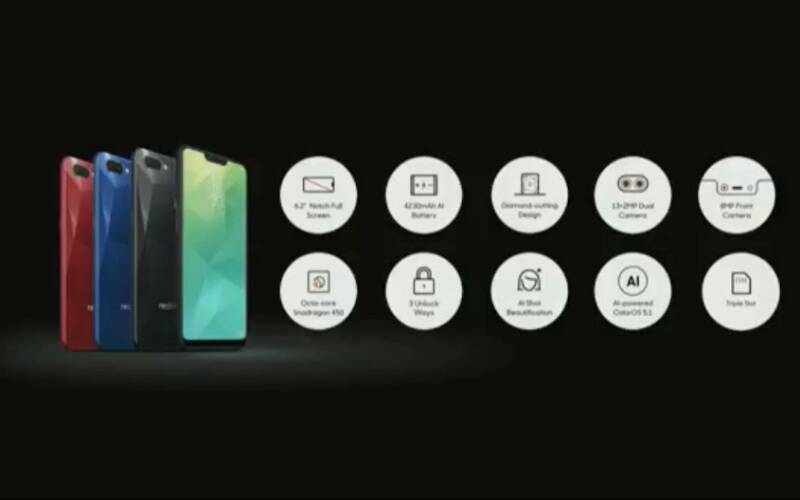 Keeping the popular customer demand in mind, Realme 2 comes with a fingerprint sensor at the back, as well as Smart Lock and Face Unlock. Both options will be expandable to 256GB storage, with a dedicated memory card slot. Also, both SIM slots in the dual-SIM smartphone are 4G LTE compatible. Realme Chief Product Officer Levi Lee takes the stage. He says that the smartphone will be the first notched display under Rs 10,000. With a 6.2-inch screen having a notch on top, it will retain the diamond-cut back design of the phone. With a screen-to-body ratio of 88.8 per cent, it will be available in Diamond Black, Diamond Blue and Diamond Red colour options. Realme 2 launch event is soon to get going, as the YouTube link to the event livestream has now gone 'Live'. Those who wish to view the launch on video can also check the 'Notify Me' page of the Realme 2 on Flipkart, or the Realme Facebook page. Notifications of the latest updates will be made avaialble via the Realme Mobile Twitter page as well. 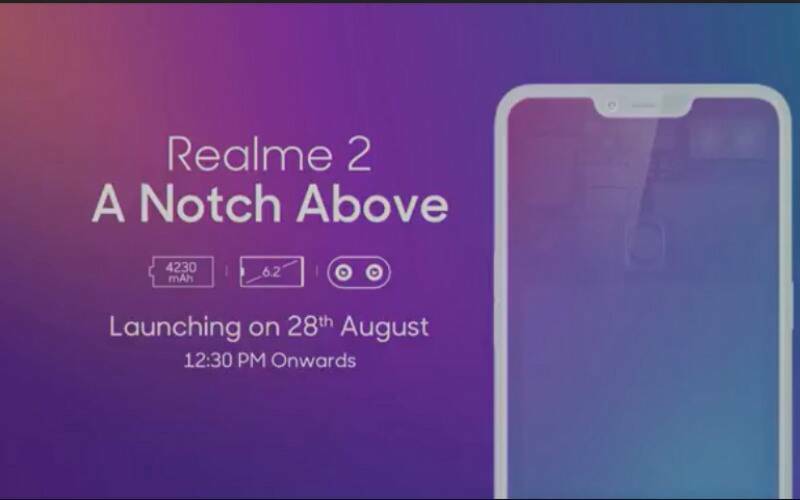 Realme 2 will be launched in India with a notch over the display. The company has been promoting the hashtag #ANotchAbove with teasers of the phone, and appears to be marketing the device as a budget option with this display. While the notch is not as big as that on iPhone X, it will house the phone's sensors, as well as the front camera and its receiver. 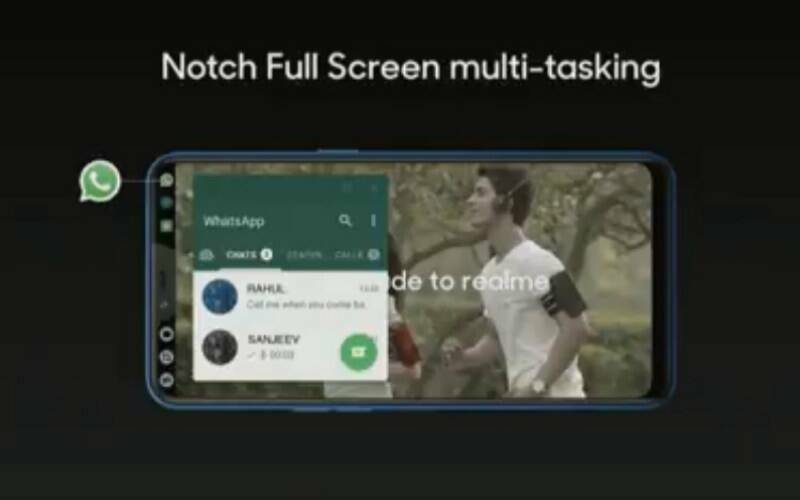 This will make the screen aspect ratio of Realme 2 to be in and around 19.5:9. It is known that Realme 2 will have a 6.2-inch display with a notch on top. Expected to be based on Android 8.1 Oreo, the phone could come with the Snapdragon 450 processor. 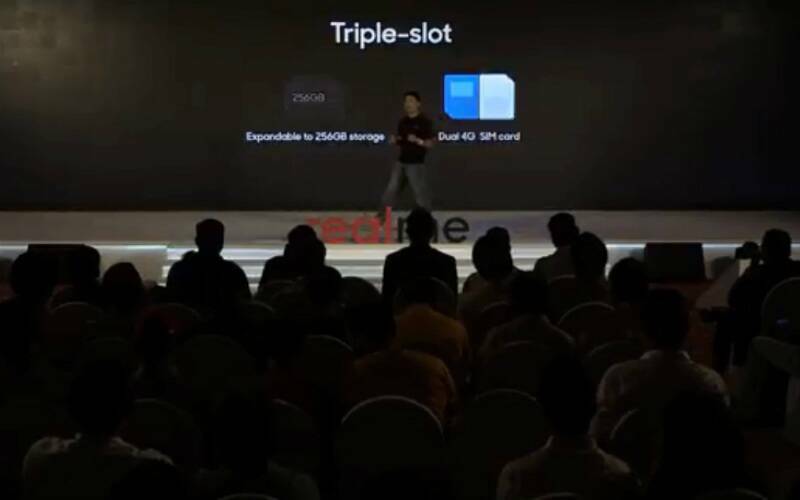 While the storage specifications are not known, the company has confirmed that Realme 2 will get a 4230mAh battery. The device has been teased with a fingerprint scanner, but is also expected to feature Face Unlock. On the camera front, Realme 2 will come with a dual-rear camera configuration that is horizontally stacked. Also, it will sport a single front camera that will be present on the notch. Realme 2's front lens could be backed by AI-based features. The phone is expected to be priced under Rs 10,000.